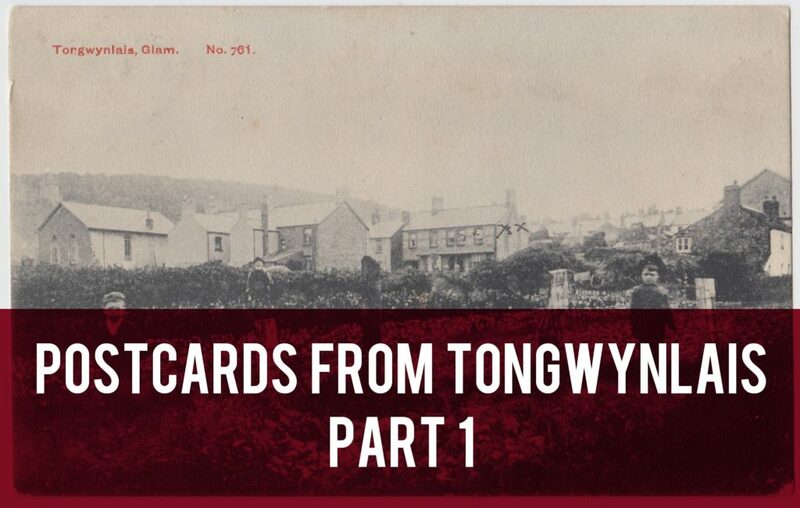 Welcome to the first instalment of our new series of articles featuring postcards from Tongwynlais. I’ve been collecting postcards for a few years now and I’m planning to post them regularly over the coming months. 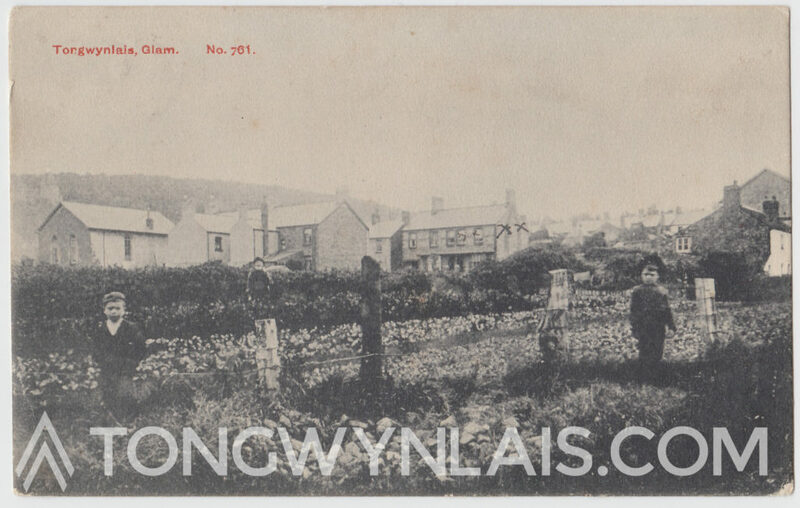 I’ve got lots of postcards featuring Castell Coch but I thought I’d start with one of my favourites of the village. It was produced by Hardings (Bristol and Cardiff) and part of their “Progress series”. I like it because it’s not a typical “picture postcard” of beautiful scenery or interesting sites. It’s an unusual photo of what looks like a field or garden with two young boys and an older gentleman with a white beard in the background. I prefer to buy used postcards that have interesting messages on. I’ll attempt to decipher the handwriting where I can! This is the pc I promised to send you the week I returned, but it is a good many weeks now. The house with the cross on is the one we live in. Hope you are keeping well. Glad to say we are all quite well. How did you enjoy yourself Bank Holiday. I enjoyed myself fine. Please tell Mrs C to write soon. I am anxiously waiting. Who is Mrs C? Why is the writer waiting anxiously? It looks like the postcard is signed “Ivore” but this isn’t a name as far as I can tell. Do you have any idea what it could be? I think the house is 6 Queen Street. I wonder if the current owners know “Ivore”? 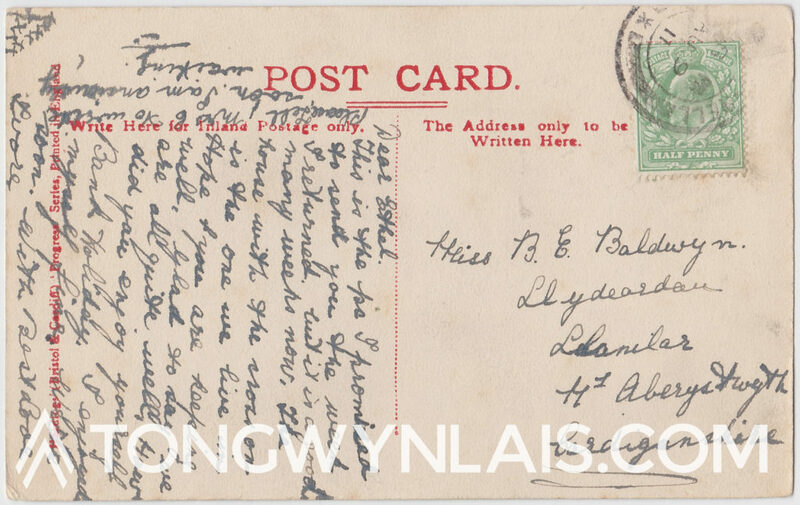 According to the 1911 Census on Ancestry.com , living at 5 Queen Street, Tongwynlais was Mr John Bennett Irons and his daughter Irore Russell Irons aged 15. Family originally from Cornwall. Hope this info helps. I live at number 8 and I will ask gill at number 6 if she knows?